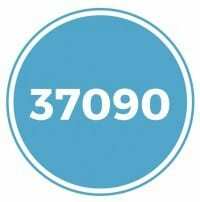 Thinking about buying a house in 37090? Geographically, this is a very large zip code and is located about an hour from downtown Nashville. Lebanon, TN, located in Wilson County is quickly growing as home affordability is much greater than areas closer to Nashville. Many residents of Lebanon who work in the Nashville will take the Music City Star Train, which connects the two cities and allows them to escape daily traffic. If this area doesn't sound like a good fit for you, we have listed all the zip codes in the metro area as well as an interactive zip code map of Nashville to assist with finding your next home.